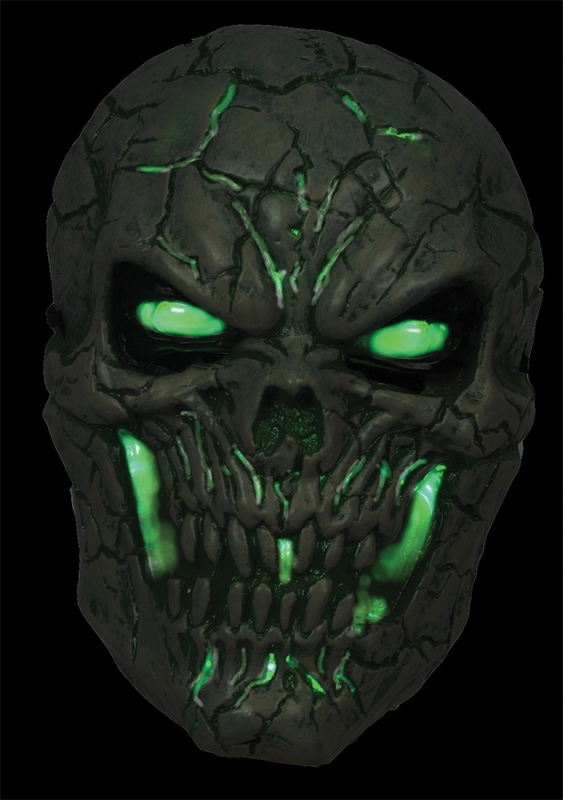 Light-up face mask is a rotted cracked skull mask that will glow a disgusting green when activated. Requires 2 AAA batteries (not included). 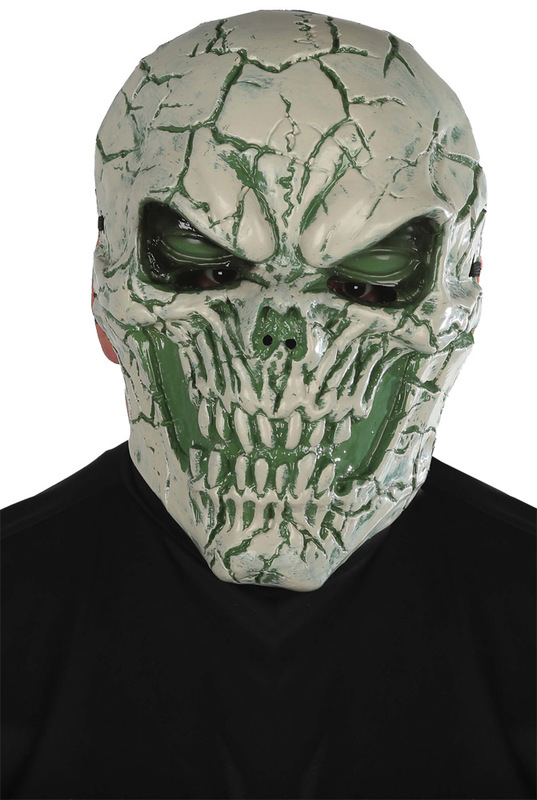 Includes elastic strap and foam square at the forehead.